Google Play is the store where you can find all the different digital products sold by Google. From applications for Android to songs and movies, as well as books. 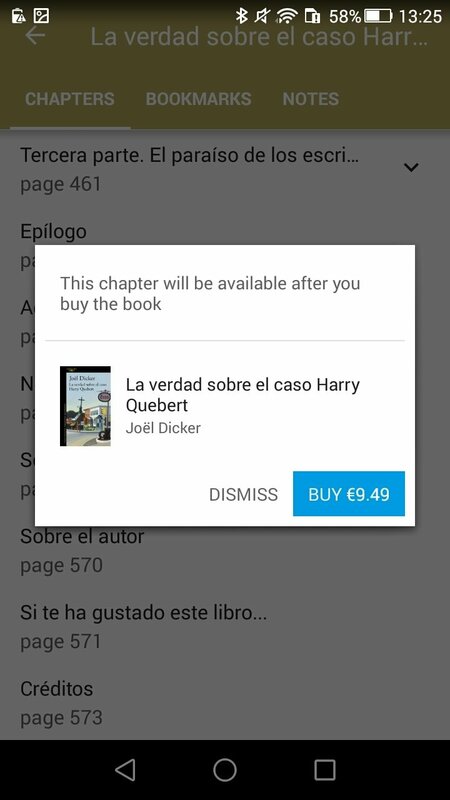 The latter are gathered on the platform called Google Play Books, and this is the Android app that grants you direct access to the service. The truth is that it's an eReader that offers us a comfortable reading experience for the books we've purchased and comes along with support for audiobooks. It incorporates a simple interface similar to the rest of applications developed by the Californian company for smartphones and the web. 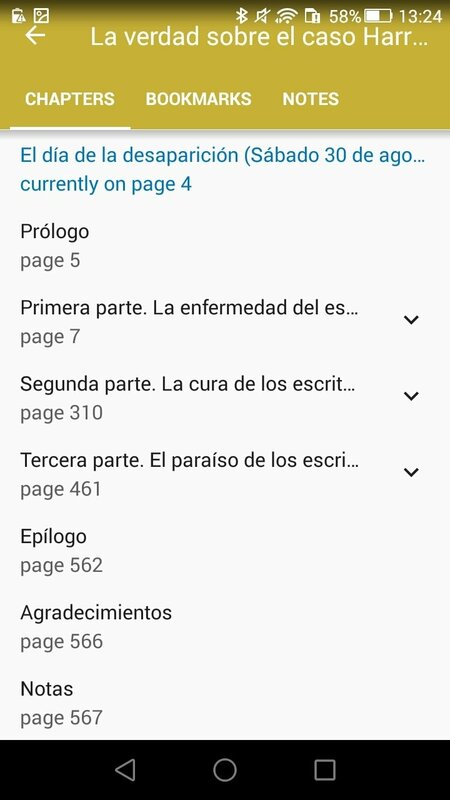 But not only does it allow us to read books, as we'll explain below, as it also offers us a shortcut to the store from where we can purchase and download millions of volumes of all sorts and genres. One of the best applications to read and purchase books online. Read the books within the app or on your browser. Take notes on the books, sync them with Google Drive, and share them with other users. Nightlight function to adjust the background color and brightness. 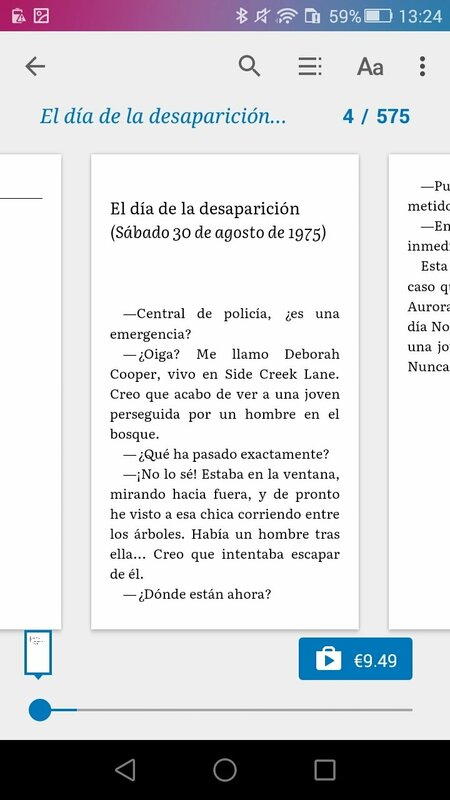 Simple audio player for audiobooks: advance or go back in intervals of 30 seconds. If you listen to audiobooks, resume the playback just where you left it. Check the catalog's free samples. 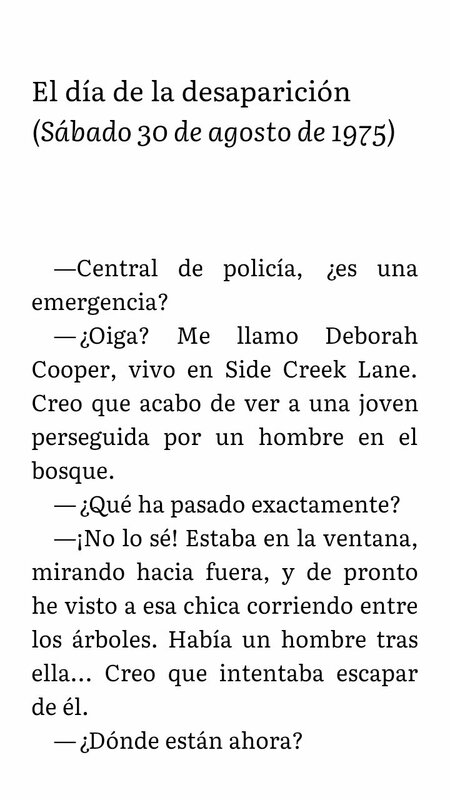 Download them and read them offline. 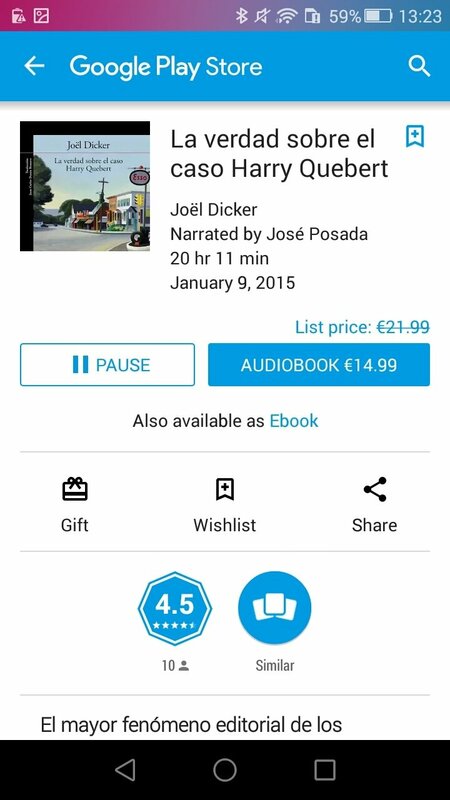 Listen to audiobook samples before purchasing them. 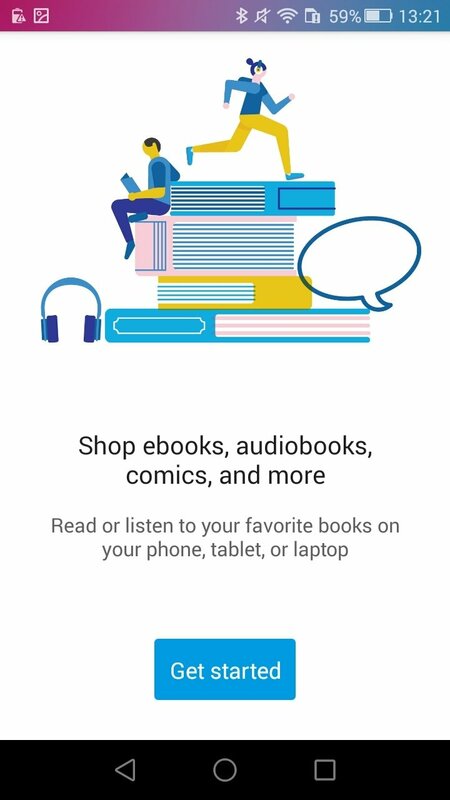 Find your next book thanks to the suggestions and recommendations provided by the app. Purchase without needing to subscribe to the service. 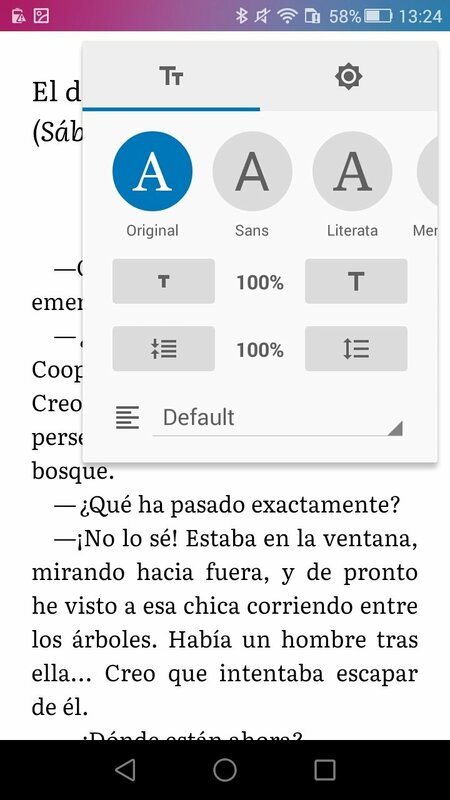 Read your PDFs or your own ePUB files. 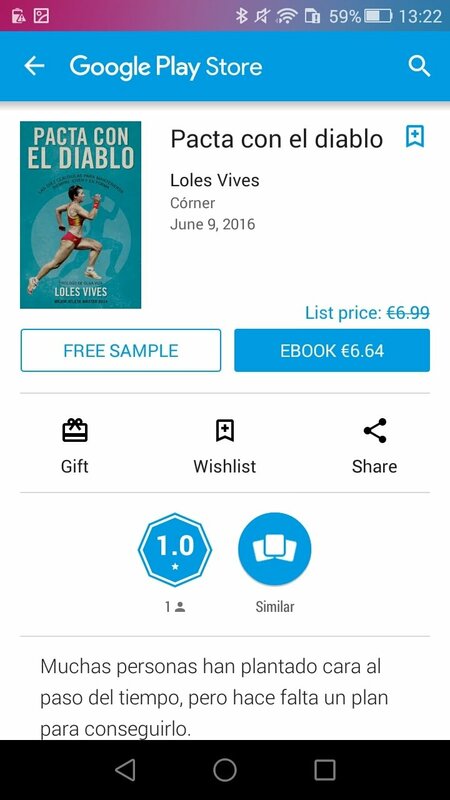 As we mentioned, the interface is really simple, with a shortcut to the application's home screen, to your personal library, to the bookstore and to the discovery function at the bottom of the screen. 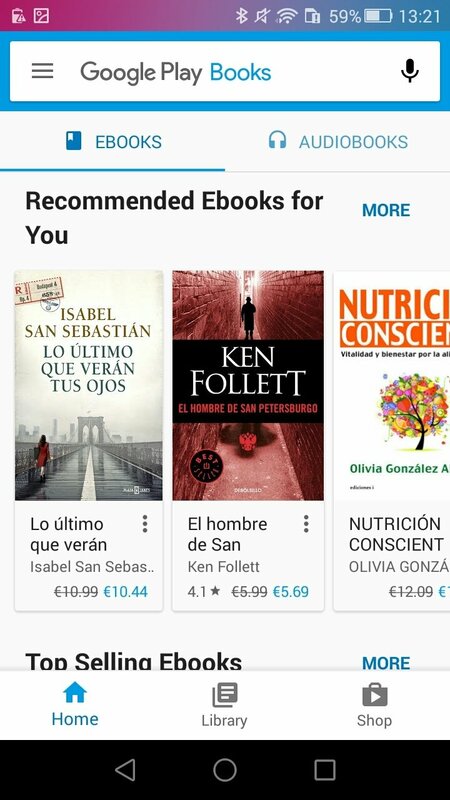 The latter is one of the most interesting options because we can use it explore the entire catalog of Google Play Books searching for the book of your choice or simply receive suggestions.